New Price! Diamond Black 2019 Ram 1500 Big Horn/Lone Star 4Dr Crew Cab 4x4 4WD 8-Speed Automatic 3.6L V6 24V VVT At Best CDJR we want you to know that all our vehicles are priced at a competitive value position to the market. We use an independent 3rd party software to research internet listings on all vehicles in the market so we can ensure that our prices are the most competitive out there. We do this simply so people choose us when they start searching for their next car. New Price! Steel Metallic 2019 Ram 1500 Big Horn/Lone Star Crew Cab 4x4 4WD 8-Speed Automatic 3.6L V6 24V VVT At Best CDJR we want you to know that all our vehicles are priced at a competitive value position to the market. We use an independent 3rd party software to research internet listings on all vehicles in the market so we can ensure that our prices are the most competitive out there. We do this simply so people choose us when they start searching for their next car. Recent Arrival! New Price! Diamond Black 2019 Ram 1500 Big Horn/Lone Star 4Dr Quad Cab 4x4 4WD 8-Speed Automatic HEMI 5.7L V8 Multi Displacement VVT ABS brakes, Alloy wheels, Compass, Electronic Stability Control, Heated door mirrors, Illuminated entry, Low tire pressure warning, Remote keyless entry, Traction control. At Best CDJR we want you to know that all our vehicles are priced at a competitive value position to the market. We use an independent 3rd party software to research internet listings on all vehicles in the market so we can ensure that our prices are the most competitive out there. We do this simply so people choose us when they start searching for their next car. New Price! Crystal Metallic 2019 Ram 1500 Big Horn/Lone Star Quad Cab 4x4 4WD 8-Speed Automatic HEMI 5.7L V8 Multi Displacement VVT ABS brakes, Alloy wheels, Compass, Electronic Stability Control, Heated door mirrors, Illuminated entry, Low tire pressure warning, Remote keyless entry, Traction control. At Best CDJR we want you to know that all our vehicles are priced at a competitive value position to the market. We use an independent 3rd party software to research internet listings on all vehicles in the market so we can ensure that our prices are the most competitive out there. We do this simply so people choose us when they start searching for their next car. Recent Arrival! New Price! Diamond Black 2019 Ram 1500 Big Horn/Lone Star Crew Cab 4x4 Black Diamond 4WD 8-Speed Automatic HEMI 5.7L V8 Multi Displacement VVT ABS brakes, Alloy wheels, Compass, Electronic Stability Control, Heated door mirrors, Illuminated entry, Low tire pressure warning, Remote keyless entry, Traction control. At Best CDJR we want you to know that all our vehicles are priced at a competitive value position to the market. We use an independent 3rd party software to research internet listings on all vehicles in the market so we can ensure that our prices are the most competitive out there. We do this simply so people choose us when they start searching for their next car. Recent Arrival! New Price! Diamond Black 2019 Ram 1500 Big Horn/Lone Star Crew Cab 4WD 8-Speed Automatic HEMI 5.7L V8 Multi Displacement VVT ABS brakes, Alloy wheels, Compass, Electronic Stability Control, Heated door mirrors, Illuminated entry, Low tire pressure warning, Remote keyless entry, Traction control. At Best CDJR we want you to know that all our vehicles are priced at a competitive value position to the market. We use an independent 3rd party software to research internet listings on all vehicles in the market so we can ensure that our prices are the most competitive out there. We do this simply so people choose us when they start searching for their next car. All of our vehicles are researched and priced regularly to ensure that you always receive the BEST overall market value!! Please call or click to confirm availability! New Price! Crystal Metallic 2019 Ram 1500 Big Horn/Lone Star Crew Cab 4x4 4WD 8-Speed Automatic HEMI 5.7L V8 Multi Displacement VVT ABS brakes, Alloy wheels, Compass, Electronic Stability Control, Heated door mirrors, Illuminated entry, Low tire pressure warning, Remote keyless entry, Traction control. 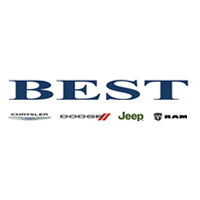 If you are new to Best, you’ll notice we do things a little differently from our new car sales to our service and maintenance. The secret of our success comes in part from the Disney Institute in Orlando, Florida. Twenty five years ago, Best needed to differentiate itself from average dealers and did so by embracing a Disney culture. To date, Best has sent over 150 employees to Disney’s “Best in Class” training. Today, our entire cast works in concert with the attitude, teamwork, and commitment necessary to achieve complete customer satisfaction. New Price! Diamond Black 2019 Ram 1500 Big Horn/Lone Star Crew Cab 4x4 4WD 8-Speed Automatic HEMI 5.7L V8 Multi Displacement VVT ABS brakes, Alloy wheels, Compass, Electronic Stability Control, Heated door mirrors, Illuminated entry, Low tire pressure warning, Remote keyless entry, Traction control. At Best CDJR we want you to know that all our vehicles are priced at a competitive value position to the market. We use an independent 3rd party software to research internet listings on all vehicles in the market so we can ensure that our prices are the most competitive out there. We do this simply so people choose us when they start searching for their next car. All of our vehicles are researched and priced regularly to ensure that you always receive the BEST overall market value!! Please call or click to confirm availability! New Price! Bright White Clearcoat 2019 Ram 1500 Big Horn/Lone Star 4Dr Crew Cab 4x4 4WD 8-Speed Automatic HEMI 5.7L V8 Multi Displacement VVT ABS brakes, Compass, Electronic Stability Control, Heated door mirrors, Illuminated entry, Low tire pressure warning, Remote keyless entry, Traction control. At Best CDJR we want you to know that all our vehicles are priced at a competitive value position to the market. We use an independent 3rd party software to research internet listings on all vehicles in the market so we can ensure that our prices are the most competitive out there. We do this simply so people choose us when they start searching for their next car. All of our vehicles are researched and priced regularly to ensure that you always receive the BEST overall market value!! Please call or click to confirm availability! New Price! Crystal Metallic 2019 Ram 1500 Big Horn/Lone Star 4Dr Crew Cab 4WD 8-Speed Automatic HEMI 5.7L V8 Multi Displacement VVT ABS brakes, Compass, Electronic Stability Control, Heated door mirrors, Illuminated entry, Low tire pressure warning, Remote keyless entry, Traction control. At Best CDJR we want you to know that all our vehicles are priced at a competitive value position to the market. We use an independent 3rd party software to research internet listings on all vehicles in the market so we can ensure that our prices are the most competitive out there. We do this simply so people choose us when they start searching for their next car. All of our vehicles are researched and priced regularly to ensure that you always receive the BEST overall market value!! Please call or click to confirm availability! New Price! Crystal Metallic 2019 Ram 1500 Big Horn/Lone Star 4X4 4WD 8-Speed Automatic HEMI 5.7L V8 Multi Displacement VVT ABS brakes, Compass, Electronic Stability Control, Heated door mirrors, Illuminated entry, Low tire pressure warning, Remote keyless entry, Traction control. At Best CDJR we want you to know that all our vehicles are priced at a competitive value position to the market. We use an independent 3rd party software to research internet listings on all vehicles in the market so we can ensure that our prices are the most competitive out there. We do this simply so people choose us when they start searching for their next car. New Price! Diamond Black 2019 Ram 1500 Big Horn/Lone Star 4Dr Crew Cab 4x4 4WD 8-Speed Automatic HEMI 5.7L V8 Multi Displacement VVT ABS brakes, Compass, Electronic Stability Control, Heated door mirrors, Illuminated entry, Low tire pressure warning, Remote keyless entry, Traction control. At Best CDJR we want you to know that all our vehicles are priced at a competitive value position to the market. We use an independent 3rd party software to research internet listings on all vehicles in the market so we can ensure that our prices are the most competitive out there. We do this simply so people choose us when they start searching for their next car. Recent Arrival! New Price! Diamond Black 2019 Ram 1500 Big Horn/Lone Star 4Dr Crew Cab 4WD 8-Speed Automatic HEMI 5.7L V8 Multi Displacement VVT eTorque ABS brakes, Compass, Electronic Stability Control, Heated door mirrors, Illuminated entry, Low tire pressure warning, Remote keyless entry, Traction control. If you are new to Best, you’ll notice we do things a little differently from our new car sales to our service and maintenance. The secret of our success comes in part from the Disney Institute in Orlando, Florida. Twenty five years ago, Best needed to differentiate itself from average dealers and did so by embracing a Disney culture. To date, Best has sent over 150 employees to Disney’s “Best in Class” training. Today, our entire cast works in concert with the attitude, teamwork, and commitment necessary to achieve complete customer satisfaction. New Price! Bright White Clearcoat 2019 Ram 1500 Big Horn/Lone Star Crew Cab 4x4 4WD 8-Speed Automatic HEMI 5.7L V8 Multi Displacement VVT eTorque ABS brakes, Compass, Electronic Stability Control, Heated door mirrors, Illuminated entry, Low tire pressure warning, Remote keyless entry, Traction control. At Best CDJR we want you to know that all our vehicles are priced at a competitive value position to the market. We use an independent 3rd party software to research internet listings on all vehicles in the market so we can ensure that our prices are the most competitive out there. We do this simply so people choose us when they start searching for their next car. Recent Arrival! New Price! Red 2019 Ram 1500 Big Horn/Lone Star Crew Cab 4x4 4WD 8-Speed Automatic HEMI 5.7L V8 Multi Displacement VVT ABS brakes, Compass, Electronic Stability Control, Heated door mirrors, Illuminated entry, Low tire pressure warning, Remote keyless entry, Traction control. At Best CDJR we want you to know that all our vehicles are priced at a competitive value position to the market. We use an independent 3rd party software to research internet listings on all vehicles in the market so we can ensure that our prices are the most competitive out there. We do this simply so people choose us when they start searching for their next car. New Price! Crystal Metallic 2019 Ram 1500 Big Horn/Lone Star 4Dr Crew Cab 4x4 Crystal 4WD 8-Speed Automatic HEMI 5.7L V8 Multi Displacement VVT ABS brakes, Compass, Electronic Stability Control, Heated door mirrors, Illuminated entry, Low tire pressure warning, Remote keyless entry, Traction control. At Best CDJR we want you to know that all our vehicles are priced at a competitive value position to the market. We use an independent 3rd party software to research internet listings on all vehicles in the market so we can ensure that our prices are the most competitive out there. We do this simply so people choose us when they start searching for their next car. Diamond Black 2019 Ram 1500 Big Horn/Lone Star 4Dr Crew Cab 4x4 4WD 8-Speed Automatic HEMI 5.7L V8 Multi Displacement VVT eTorque ABS brakes, Compass, Electronic Stability Control, Heated door mirrors, Illuminated entry, Low tire pressure warning, Remote keyless entry, Traction control. At Best CDJR we want you to know that all our vehicles are priced at a competitive value position to the market. We use an independent 3rd party software to research internet listings on all vehicles in the market so we can ensure that our prices are the most competitive out there. We do this simply so people choose us when they start searching for their next car.